Stackable with or without bases. Two mounting holes for warning lights or signs. Tabs around base of Perimeter Defender™ for "Positive Lockup" with base. 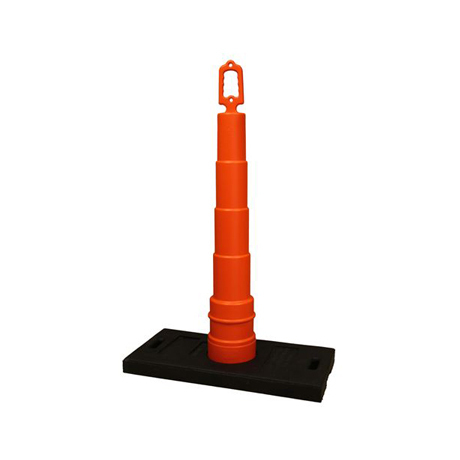 Compliant when used properly with 30# rectangular base. The Perimeter Defender provides an easy to use workplace and rooftop safety warning line system that meets all OSHA requirements (1926.502(f)(2)(ii)). Customizable products to meet your safety needs.